“Digital transformation” is one of those buzz phrases that’s thrown around a lot these days. Often it’s backed by solid action and investment, and at other times, it can seem like an easy way out for an otherwise non-remarkable strategy presentation. Whether we like it or not, digital transformation will be a sure thing on every organization’s to-do list in 2019. Companies and their leaders will be tasked to leverage even more data and analytics, and show how technology can be used to help (or hinder) the wider business strategy. And HR is by no means exempt from this responsibility. Here are three examples of HR teams who are leading the way for best practice in terms of digital transformation inside their organization. Watson is IBM’s pinnacle of innovation—a suite of enterprise-ready AI services and applications that are now being embedded into multiple workflows and departments. Specifically in IBM’s HR department, AI is being leveraged to not only reactively improve productivity and reduce margin of error, but also proactively give employees greater insight into their future career paths within IBM. The Watson Career Coach acts as an advisor to employees who are thinking of future growth opportunities within IBM. It will integrate questions it asks employees with historical knowledge (such as their CVs) to provide a “job opportunity match,” which includes roles suitable to the employee. Not only is this a cool, user-friendly way of using digital insights to understand employees better, but it will also boost employee engagement by helping them visualize a career path at IBM. For anyone about to change jobs or starting a new one, the time before day one can be ridden with anxiety. When do I start? Who am I reporting to? What is the culture like? Royal Bank of Canada (RBC) recognized these bumps in the pre-boarding experience and in response developed a unique, digital employee-centric solution called Embark. The website and app (developed in partnership with IBM’s design consultancy, IBM iX) seamlessly connects new hires with personalized content and knowledge around RBC’s history, its values, career paths and pending tasks for on-boarding. For an organization whose strategy is to become “the digitally enabled bank of the future,” it’s a smart move to start with the new hire experience. 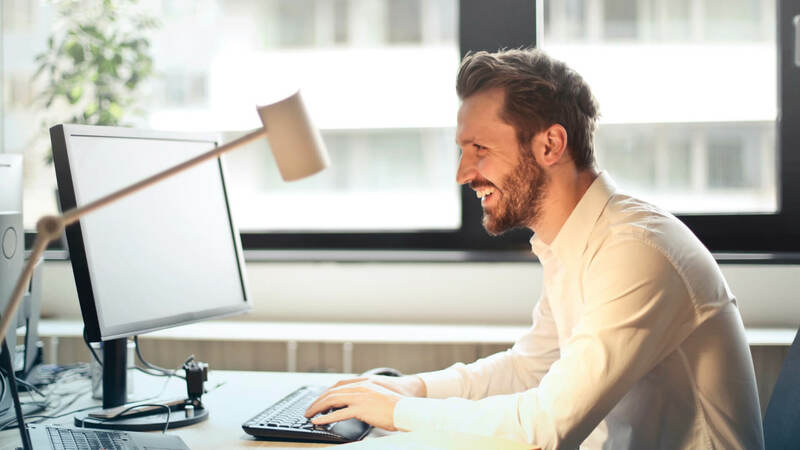 When employees experience the benefits of HR’s digital transformation firsthand—in this example, before day one on the job—they, in turn, can feel more motivated (and proud) to provide customers with better digital experiences. Last but not least, digital HR transformation doesn’t always have to mean making big fancy investments in new technology. 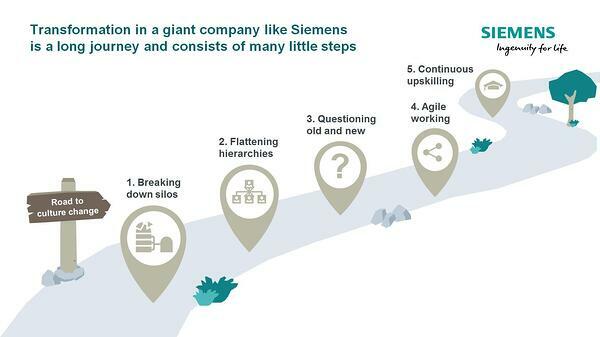 For German-based manufacturer Siemens, the first priority was to rethink the very structure of HR. Before making definitive calls on AI and other hot topics, they needed to first ensure that teams were designed in a way that made it possible to move, and think, at the speed of digital. The HR function at Siemens has moved away from a traditional hierarchy (where teams consist of a high number of HR generalists, structured by way of seniority) to a more "hub-and-spoke" model (based on areas of specialization, with expert teams focused on market needs). This is especially important because a successful digital transformation strategy requires a team of people who are willing to question, rethink and advise on how an organization can leverage technologies like AI and big data. This approach also allows for more agile ways of working, which we all know to be a foundation for digital-led companies. The topic of digital transformation will only gain momentum over the coming months in 2019. Examples like these from around the world show that HR teams are capable of truly leading (rather than reacting to) the movement. Digital HR transformation starts with improving HR's productivity so they can focus less on paper and processes, and more on people. Get more insight by downloading the interactive eBook, Building a People-Powered Workplace: 5 Ways HR Can Maximize Productivity and Focus on People. The job of HR is dynamic and multi-faceted. HR professionals need to be psychologists, coaches, people people and numbers people. They need legal acumen, marketing chops, and technology savvy. Then, there’s the strategic elements of HR. Increasingly, HR is expected to know the business inside and out, act as consultants and visionaries, and ensure employees are engaged and having a positive experience at work. If there’s anyone who understands the ins and outs of HR transformation, it’s Jean-Michel Estrade, SVP of HR Global Digitization and Services at Atos. He’s leading his organization’s eTransformation initiative, which seeks to streamline data management, administration and processes for employees, managers and operational HR. One challenge he encountered was a disconnect between the data in their core HR system and the employee document management function. In this HR transformation case study, Jean-Michel explains why he chose PeopleDoc to address this issue and enable all stakeholders to take an active role in end-to-end HR Service Delivery. When we hear the term “future of work” it can seem like a far-off concept, one that typically conjures images of robots sitting behind a desk, next to a human counterpart. More accurately, the future of work is about real, macro technological, sociological and economic trends that are already changing the way we work today. In this blog, we’ll explore three research-based trends, how these trends impact HR, and the technology capabilities they will need to incorporate into their digital HR practices. Bonnie is a Business Development Representative at PeopleDoc by Ultimate Software. She works with HR leaders across Northeast United States and Canada who are looking for ways to improve the digital employee experience. 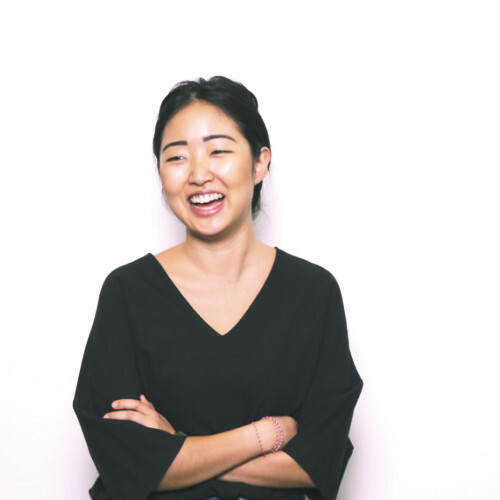 Prior to joining PeopleDoc, Bonnie worked in advertising and holds a liberal arts & law degree from the University of Sydney.